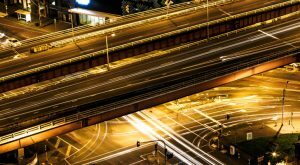 President Donald Trump might not have an infrastructure plan nine months into his first term despite running on that platform, but thankfully these seven infrastructure stocks are already out there getting it done. Rather than come up with an infrastructure plan, the president’s blame game landed squarely on Puerto Rico on Oct. 12. The world’s most powerful leader accused the devastated territory of possessing terrible infrastructure prior to Hurricane Maria and coming awfully close to suggesting the devastation was somehow manmade. Here’s a news flash Mr. President, the infrastructure in all 50 states is also a mess, but you already knew that or you wouldn’t have promised a $1 trillion infrastructure plan during the election campaign. After all, the world’s infrastructure isn’t getting any younger. 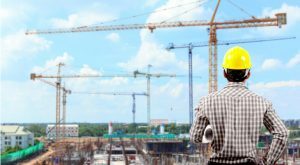 According to the latest estimates from the G20-backed Global Infrastructure Hub, $3.7 trillion must be spent annually to meet the global infrastructure needs. Something like $94 trillion is required by 2040, less than three decades from now. The president might take forever to get working on infrastructure but you don’t have to by investing in one or more of these seven infrastructure stocks and exchange-traded funds. Any stock with the name Brookfield in it is an attractive investment in my opinion. Considering that we’re talking about infrastructure stocks, however, I’ll go with Brookfield Infrastructure Partners L.P. (NYSE:BIP), which was spun-off by its parent, Brookfield Asset Management Inc (NYSE:BAM) in January 2008. BAM still owns 30% of BIP, though, so you could always buy BAM to get additional alternative investments such as real estate and private equity. Brookfield Infrastructure Partners own 35 businesses and $25 billion of assets in various parts of the world. Over the past eight years, it’s grown its funds from operations (FFO) by 24% compounded annually to $3.02 per share. Its investments include transmission lines, toll roads, railroads, ports and pipelines, and other core infrastructure assets. In April, it closed a deal with a consortium of partners to buy 90% of a Brazilian natural gas pipeline for $5.2 billion. Brookfield Infrastructure is investing $1.3 billion in the deal. The acquisition expands its holdings in Brazil, the country where Brookfield got its start more than 100 years ago. I’d suggest you have a look at its annual report and financials to understand all of the infrastructure assets it owns. I recently called this operator of Mexican airports a stock that Warren Buffett should buy, because now that Buffett is open to investing in airline stocks, infrastructure assets such as Grupo Aeroportuario del Pacifico (ADR) (NYSE:PAC) are a natural next step. U.S. airports aren’t currently available for public ownership; and until they are, Mexican airports are the closest ones to buy. PAC operates 12 airports in Mexico including Guadalajara, Tijuana, Los Cabos and Puerto Vallarta, as well as the Montego Bay airport in Jamaica. PAC’s airports accounted for 25% of Mexico’s told passenger traffic in 2016 and 75% of Jamaica’s. Mexico’s largest private airport operator, it grabbed 1.7% market share in 2016 while operating five of the ten busiest airports in the country. The top three U.S. airlines using its airports are American Airlines Group Inc (NYSE:AAL), United Continental Holdings Inc (NYSE:UAL) and Delta Air Lines, Inc. (NYSE:DAL). The trio accounts for 15% of the company’s passengers. In 2017, PAC’s revenues and earnings are both growing by double digits. With the aggressive expansion by Mexican airlines domestically and internationally that’s expected to continue. PAC might not be U.S. infrastructure, but it is North American. As the recovery efforts in Puerto Rico have proven, communication is vital to cleaning up the mess left behind by Hurricane Maria. While they might not be glamorous assets, wireless cell towers are the backbone of any country’s infrastructure. American Tower Corp (NYSE:AMT) is America’s largest operator of wireless cell towers. Basically, AMT owns the land and tower structure, while the telecom company provides the equipment that attaches to the cell tower. Virtually 100% of its revenue comes from leasing its properties, which is why it operates as a real estate investment trust. American Tower owns approximately 148,000 communication sites around the world, including 40,100 in the U.S., 18,700 in Brazil and 58,000 in India. The beauty of its business model is that its costs are pretty straightforward: First, it buys the land. That’s one expenditure. Then it puts up a cell tower. That’s the second expenditure. 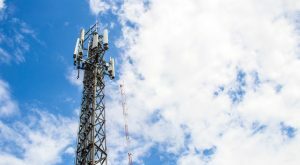 It then has ongoing costs such as property taxes, ground rent and maintenance, but with that comes significant upside just by adding additional customers to that single tower. In a lot of ways, it’s very similar to sod farms in that the company owns the real estate until it becomes too expensive not to sell. You’ve got the infrastructure assets and then you’ve got the people that get the assets built and in place. 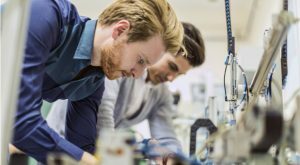 That’s where a professional services firm like Jacobs Engineering Group Inc (NYSE:JEC) comes into play. Jacobs operates four lines of business, with its buildings and infrastructure unit generating 21% of its $11 billion in 2016 revenue, and 30% of its $586 million in 2016 operating profits. In August, Jacobs announced it was buying privately held CH2M Hill for $3.3 billion to strengthen its government services and infrastructure business. After the deal is done, Jacobs’ building and infrastructure business will account for 32% of its $15.1 billion in annual revenue. This transformational acquisition moves infrastructure to the front of the line. And should President Trump ever get around to implementing his infrastructure plan, Jacobs is ready to benefit. Not only that but the acquisition of CH2M Hill strengthens the margins of its two businesses growing the fastest — buildings/infrastructure and aerospace/technology — ensuring that earnings keep moving higher and Jacobs’ stock along with it. Pipelines, like cell towers, are vital to the infrastructure of any country, the U.S. included. Enbridge Inc (USA) (NYSE:ENB) operates natural gas pipelines in 31 states and five Canadian provinces. It can store 255 billion cubic feet of natural gas (Bcf) and process 11.4 Bcf per day. Here in Canada where I live, Enbridge has an extensive portfolio of wind and solar assets that currently generate just 2% of the company’s earnings before interest and taxes (EBIT). However, its earnings are growing thanks to the CAD$7.4 billion it’s spending on offshore renewable energy projects in Europe that will generate 1,000 megawatts of energy once completed. 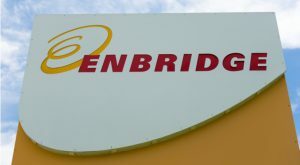 In total, Enbridge will invest CAD$32 billion in low-risk energy projects over the next three years that will produce considerable growth for the company. Not only is Enbridge growing but it consistently increases its annual dividend payment — the company’s increased annual dividend by double digits every year over the past decade — and expects to do so at least through 2024. Currently yielding 4.6%, it’s a great infrastructure asset for income investors to buy. What’s needed to build bridges and roads? Well, amongst many things, is gravel and sand, crushed stone, concrete, asphalt and cement. Martin Marietta Materials, Inc. (NYSE:MLM) supplies all of these for construction projects across the U.S. In 2010, the company implemented a six-year plan to grow its business through a combination of organic sales and acquisitions. At the start of the plan, it had $1.6 billion in revenue, $196 million in operating earnings and a market cap of $4.2 billion. At the end of 2016, those numbers had grown to $3.6 billion, $667 million and $14.0 billion, respectively. Now operating under its new plan, Soar 2020, it’s looking to continue allocating capital in the best interests of its shareholders through share repurchases, dividends, acquisitions and above-average capital spending on its existing assets. Martin Marietta’s CEO appeared on Mad Money on CNBC in August expressing optimism that Trump would get the infrastructure bill done. Two months later that hasn’t happened and it might never happen. 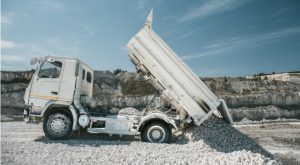 As a result, investors have been negative about its stock, providing excellent buying opportunities for those wise enough to understand Martin Marietta’s business is strong with or without President Trump. The easiest way to play the infrastructure game is to buy the ProShares DJ Brookfield Global Infrastructure ETF (NYSEARCA:TOLZ), a collection of 139 infrastructure stocks from the U.S. and Canada and many other developed countries. Coincidentally, Enbridge and American Tower are the ETFs two most substantial holdings accounting for 6.1% and 4.6% of its $37 million in total assets. The ETF charges an annual fee of 0.46%, which is reasonable given it is the only pure play on the infrastructure industry. The TOLZ ETF uses a float-adjusted market-cap weighting methodology that rebalances quarterly, investing in companies that generate at least 70% of their cash flows from infrastructure lines of business and capping those weightings at 10%. The three largest sectors of the ETF are oil and gas storage and transportation at 33.3%, electricity transmission and distribution at 17%, and master limited partnerships (MLPs) also at 17%. Income investors should also like its dividend yield of 3.4%. 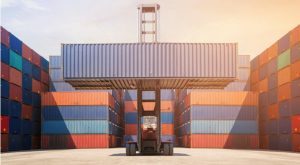 Article printed from InvestorPlace Media, https://investorplace.com/2017/10/7-infrastructure-stocks-that-dont-need-donald-trump/.